In the rear portion of Mt. Olive Cemetery lies a broken headstone. Propped up against a tree, amidst other gravestone fragments, it is an “orphan;” misplaced due to flooding, vandalism, and neglect in the historic cemetery. At one point, it marked the burial site of a Portsmouth resident, a tangible remnant of a life lived in Tidewater, Virginia. Now, it its current condition, the stone offers few clues as to who this person was, or where they came from…a family legacy interrupted. I’ve passed this stone on many occasions since 2007, seeking to learn every story this cemetery has to teach. Initially visiting the site to learn about my own family history, the scope of my research has broadened to include the cemetery in its entirety, ultimately an effort to nominate it to the National Register of Historic Places. In learning my ancestors’ stories, I came to value the histories of their neighbors, members of the same community in which my ancestors once lived. They were not directly related to me, but had so much in common with the people who were a part of my lineage. They faced the same hardships, had the same dreams, and fought for the same rights that were once denied them during slavery and the Jim Crow South. In this way, the stories of genetic strangers became my own. I’ve come to learn that many of them are buried in the same cemeteries as my ancestors, and this broken headstone was a part of that history. All of their stories are worthy of being told, and preserved for future generations. Therefore I wondered: what was the name on the stone? Once upon a time, a headstone was purchased (or commissioned) and placed in Mt. Olive Cemetery, for the dearly departed. Who was this person? Gravestones, and the cemeteries in which they lie, are an invaluable aspect of genealogical study, the process of identifying our ancestors. Sometimes, these sites are the last remaining clues that we have to their existence. So often in my research, I’ve found that each stone encountered in a cemetery is a something of a book, a link to a veritable biography of the person for whom the headstone was placed. However, any story that this particular stone fragment in Mt. Olive could relay was impossible without knowing the name. A few things may be learned from a scientific study of the fragment. For one, the type of stone, which in this case is cement, one of the various headstone materials to be found in the cemetery. We also know the general location of the stone. Although it is propped up against a tree, possibly by a volunteer or maintenance crew, it is located in Mt. Olive Cemetery. So far, I have found few stones that have migrated more than ten to fifteen feet in the cemetery complex. The rest of his gravestone has not been found, so for identification purposes, I only had these initial clues to use. To begin, I first looked through the database that I’ve compiled over the last four years, using a combination of death certificates, obituaries, and extant burial permits, of any and all persons that are buried in the cemetery. Most of the funeral homes that arranged the burials have gone out of business or have shut down. Not seeing any “Simons” that matched the information from the gravestone fragment, I then turned to U. S. Federal Census Records and World War I Draft Registrations. The gravestone was present amongst burials dated between 1900 and 1940, and seemed more representative of that period than not. Perhaps this was the right era? A generic search on Ancestry.com for a “Simon Lea?” produced multiple results, but only one in the Portsmouth area. In 1910, there was a “Simon Leach”, aged 24, of North Carolina, lodger, living in the home of Simon Battle (also a North Carolina native) and family on Griffin Street in Portsmouth’s 3rd Ward. A World War I Draft Registration Card notes a Simon Leach in Portsmouth, who registered on June 5, 1917. His residence is listed as 630 Griffin Street, born January 27, 1887, and place of birth Pittsboro, Chatham County, North Carolina. At the time, he worked as a janitor for the Seaboard Airline Railroad, was a single man, and signed his own name on the draft card. January 27 is the same month and day noted on the gravestone fragment in Mt. Olive Cemetery. By 1920, this Simon Leach is recorded in Portsmouth’s Jefferson Ward, on Green Street, along with wife Mabel, of Virginia, and Junius McClenny. Who was Mabel? Was she related to Junius McClenny? The couple was listed as two “lodgers” in the home on the 1920 Census. 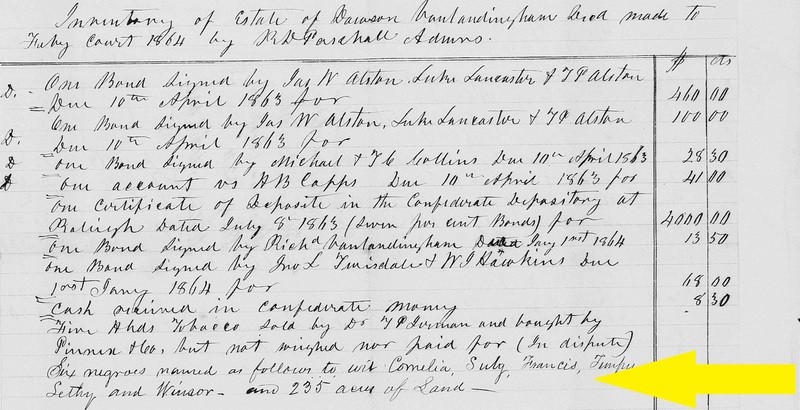 Mabel wasn’t necessarily related to Junius McClenny, especially listed as a “lodger” in the census record. 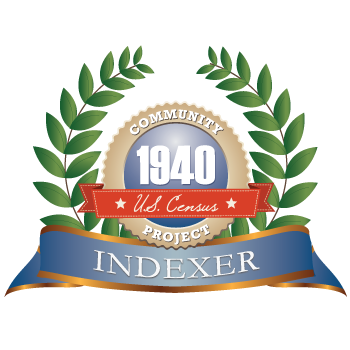 A review of the 1920 Portsmouth Census will produce thousands of African Americans listed as “lodgers” in various homes. There was a shortage of available housing for African Americans in Portsmouth during this period. Author Terry L. Jones mentions in Readings in Black and White: Lower Tidewater Virginia, that “the Norfolk Naval Shipyard located in Portsmouth has always played a significant role in the fluctuations of the population and economy of the city. Largely as a result of World War I, Portsmouth’s population grew from 33,190 in 1910 to 54,387 in 1920” (Jones, 55). To help address this need for housing, the historic neighborhood of Truxtun was developed and officially opened in 1919, and many African American Portsmouth homeowners rented out available rooms to those in need, a sometimes necessary move to help supplement their own income. By 1930, the same Simon Leach is documented with wife Mabel, and children Charles T., Leonidas, Albert, and Edna, living on Griffin Street, just five houses down the street from my grandfather Horace L. Orton. Was this the right Simon? Where did Mabel come from? To determine Mabel’s maiden name, I looked to marriage records. 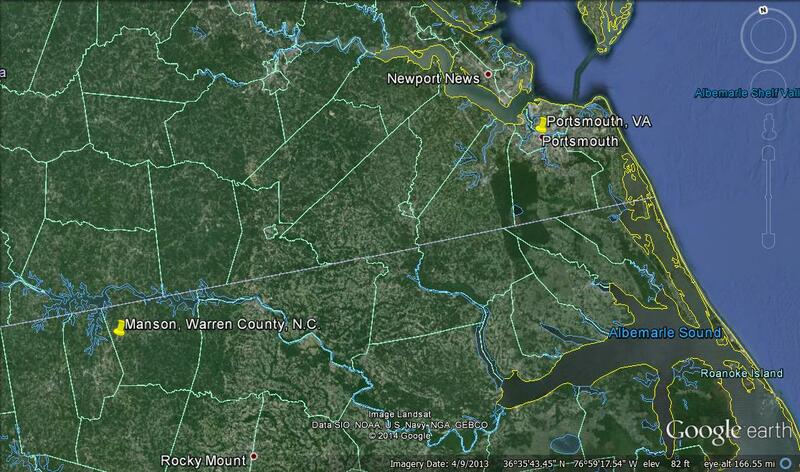 I did not see any marriages between Simon Leach and Mabel in Portsmouth, Chesapeake, Suffolk, or Virginia Beach. However, there is a marriage recorded between a Simon Leach and a Mabel Fisher…in Chatham County, North Carolina. Mabel Fisher’s name was familiar. Where had I seen it? And Simon. The census records of 1910, 1920, and 1930, note his place of birth as North Carolina. 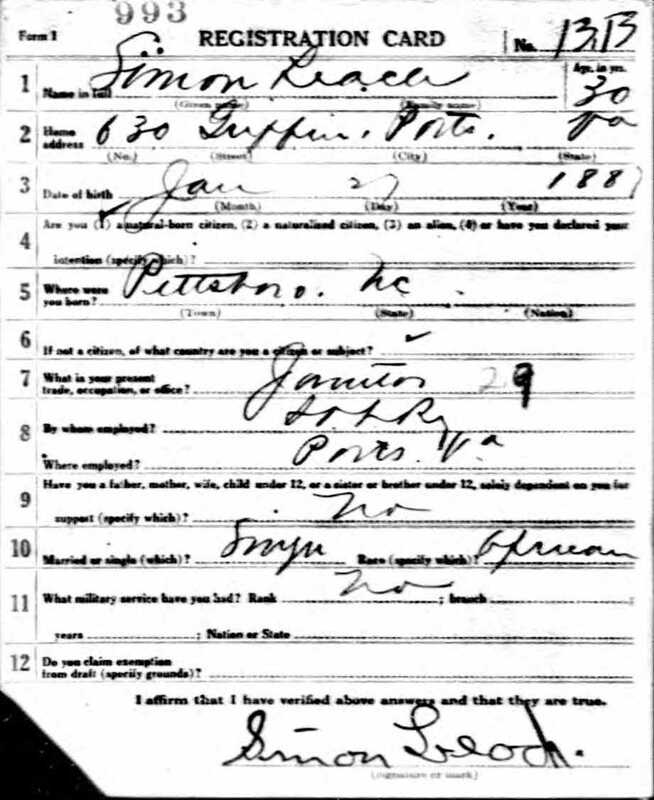 The World War I Draft Card for Simon lists his place of birth as Pittsboro, the county seat of Chatham County. 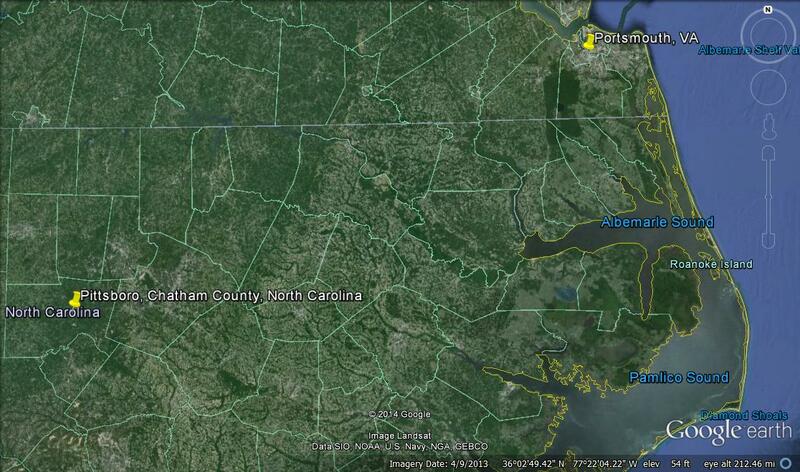 Did Simon go back to his home county in North Carolina to get married? On September 4, 1918, in Centre (Center) Township, Chatham County, North Carolina, Simon Leach married Mabel Fisher, twenty-four years of age (born about 1894), from Portsmouth, Virginia. She was the daughter of Charles and Mary Fisher of Portsmouth, Virginia. Simon Leach’s place of birth in the record is noted as Pittsboro, Chatham County, North Carolina, born about 1884, with parents Thomas and Lizzie Leach. The date of Simon and Mabel’s marriage fits the period between 1910, when the Simon Leach I’d found in Portsmouth was a single man, and 1920, when he was married to Mabel, and living on Green Street. The possible date of birth for the Mabel Fisher, daughter of Charles and Mary Fisher in Mt. Olive Cemetery, is close to the estimation of birth for the Mabel Fisher in the record of marriage to Simon Leach. As for Simon, the estimation of his year of birth from the Census and WWI Draft Registration Card records is close to the date of birth in the marriage record. The Federal Census notes Simon’s place of birth as North Carolina, and the marriage record and WWI Draft Registration Card lists Pittsboro, Chatham County, NC. For more information on Simon, I proceeded to review Chatham County, North Carolina vital records. I found Simon Leach in the household of Thomas and Lizzie Leach in the 1900 Census, living in Center Township, Chatham County, NC. Also in the household are siblings Minnie, Lillie, Thomas Jr., George W., Lizzie, Benjamin, Bishop, Ludie, Albert, and Levi. Thomas Sr. is noted as a “salesman-general merchandise,” and the seven eldest children, including Simon, were attending school. Simon Leach is not found in any other Chatham County records after 1900, when he presumably moved north to the Portsmouth, Virginia area. Research into the Leach family in Pittsboro, North Carolina produced some interesting finds. Simon’s father, Thomas Leach Sr. (1854-1936), son of Everett Lovett and Winnie Leach, married Lizzie Council (1856-1920), daughter of Albert Council (1830-1908) and Dinah McClanahan (1817-1895), on January 17, 1878, in Chatham County. In addition to marriage, the families were interconnected in other ways. 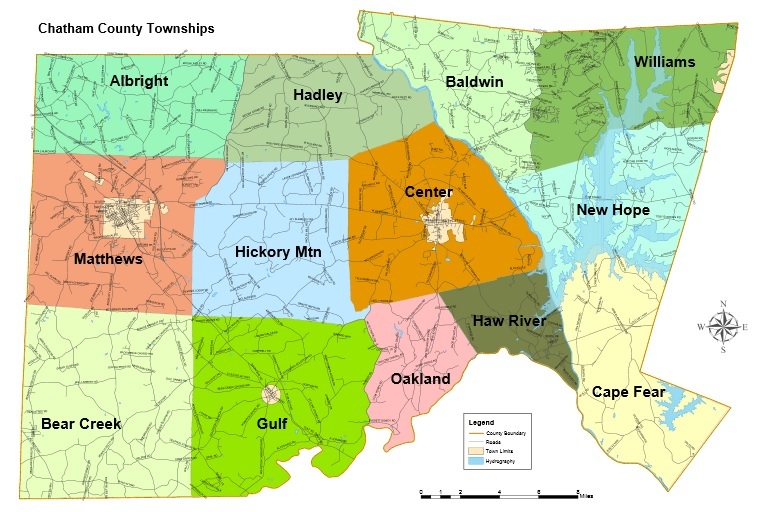 There are numerous real estate transactions between the Leach and Council families in Chatham County records. Also, Thomas Leach, Sr., was the executor of Albert Council’s will, after the latter’s death in the month of December, 1908. 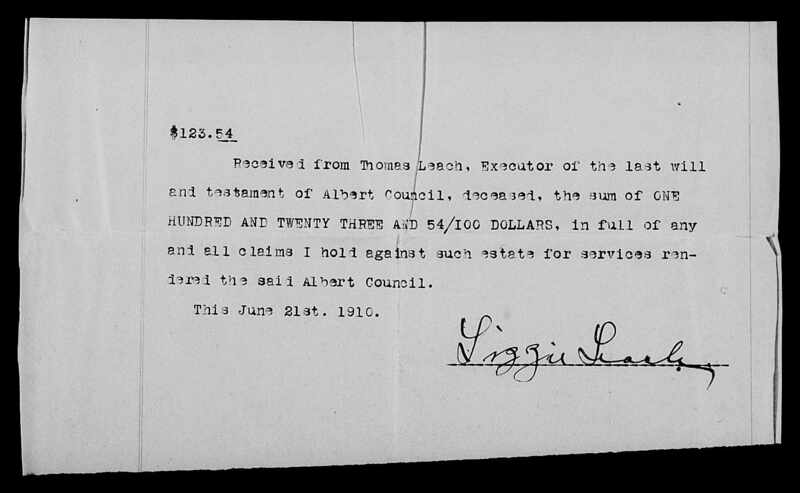 At the time of his death, Albert Council (Lizzie Leach’s father), was possessed of an estate worth $950.00, the proceeds of which, by the provisions of his will, were distributed amongst his second wife Louisa, and four surviving children, Albert, John, Lizzie (Simon’s mom), and Liddy. It’s important to note that the Albert Council and Thomas Leach families were part of a thriving community. They were land owners, running their own businesses, with children attending school, in spite of the ever-growing harsh conditions for African Americans in the post-Reconstruction South. At the same time Simon Leach was documented in the 1900 Census as a teenager, the local paper, The Chatham Record, ran stories celebrating white supremacy, maligning African American politicians, and supporting the future North Carolina suffrage amendment that would eventually pass that same year, effectively curtailing the African American vote in the state. Perhaps strong family ties unintentionally fostered by such a discriminatory environment are a possible reason why Simon Leach returned home to Chatham County to marry Mabel Fisher, before their eventual return to Portsmouth as a couple by 1920. Most of the members of Simon’s immediate family continued to live in and around Pittsboro. 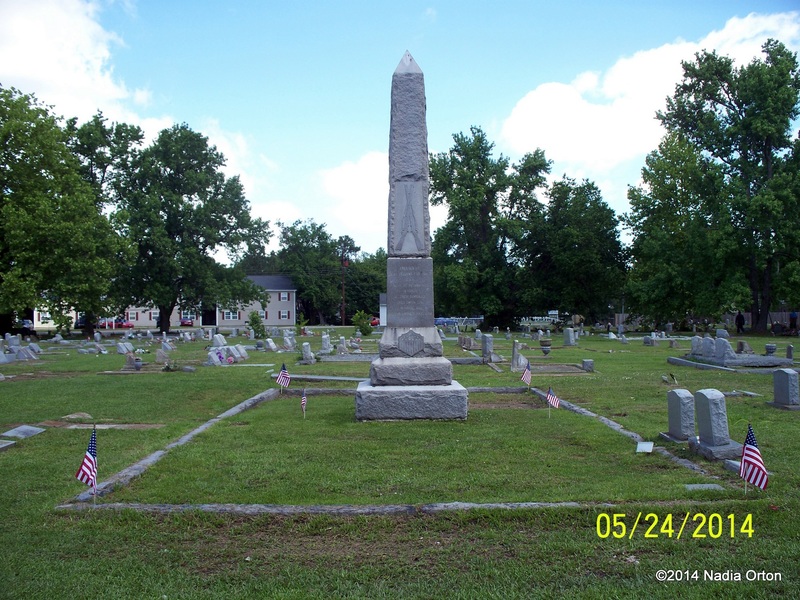 His father Thomas Sr., mother Lizzie, sister Lillie, and brothers Bishop, George W., and Thomas Jr., are buried in Pittsboro’s Community Cemetery, once called the Pittsboro “Colored” Cemetery. The cemetery is located on the southern end of Fairgrounds Rd., directly across from the Chatham County Fairgrounds. Another brother, Albert June Leach, moved north to Cuyahoga County, Ohio, by 1930, and is buried there in Evergreen Memorial Park Cemetery. 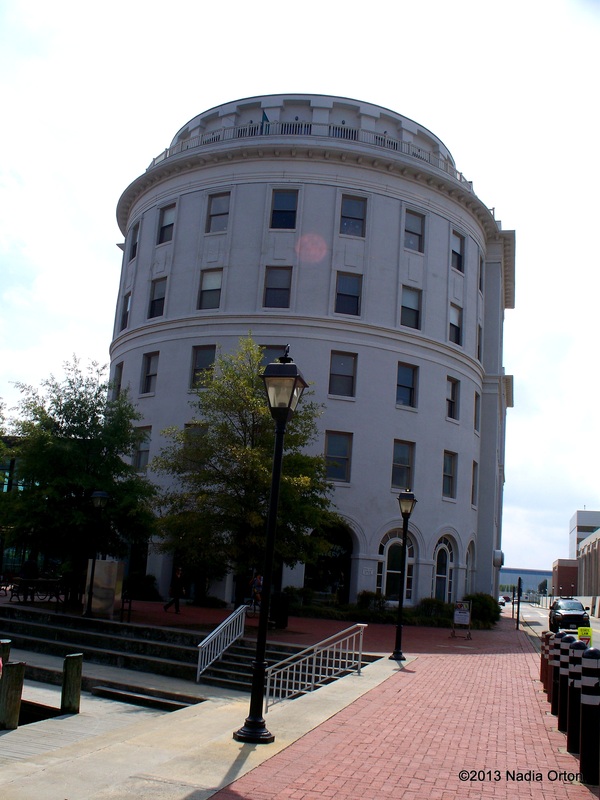 Simon’s brother Levi married Nettie Lee in Center Township, Chatham County, on July 29, 1923, relocated to the Waterbury, Connecticut area in the 1930s, and eventually made the city his home, passing in 1977. What became of Simon in Portsmouth? As stated previously, he’s documented living in Portsmouth on Green and Griffin Streets between 1920 and 1930. A long-time employee with the Seaboard Airline Railroad, he worked as a “general laborer” for the company in 1920, and was listed as a porter by 1930. Simon’s wife, Mabel Fisher Leach, passed in the late 1930s, and by 1940, Simon lived at 628 Griffin St. (near the location of Saint James Episcopal Church), with sons Charles Thomas, Leonidas Nathaniel, and Albert Fisher Leach. A 1940 Portsmouth City Directory confirms his address at 628 Griffin Street, with the occupation “messenger” (with the SAL), along with Leonidus Nathaniel, listed as a student, and Charles Thomas, laborer. 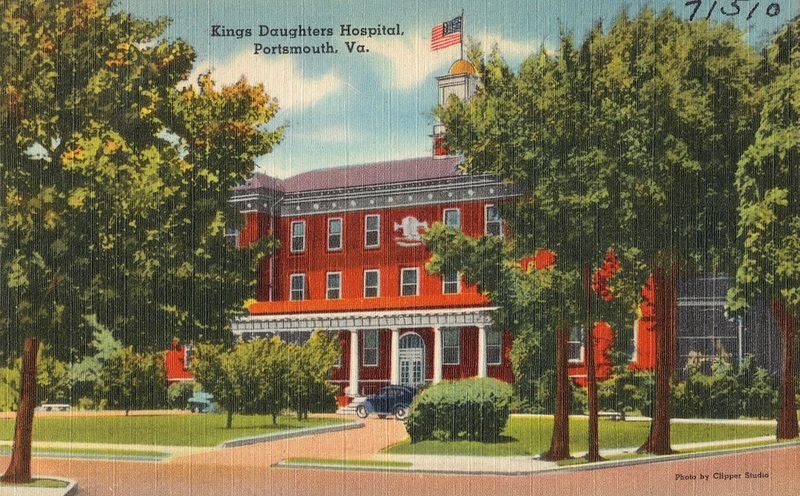 King’s Daughters’ Hospital, Portsmouth, Va. Boston Public Library, Mass. Considering the second date on his gravestone of “Sept 25,” I estimate that Simon Leach passed away on (or about) September 25, 1941, in Portsmouth, and was laid to rest in Mt. Olive Cemetery. There is no direct mention of his passing that I could locate in the local Norfolk Journal and Guide, but several articles subsequent to 1941 make indirect mention of Simon Leach’s death. When Simon’s youngest child, daughter Edna Mae Leach (1928-2002), married Col. Mertyn Elbert Byrd, son of Nathaniel and Cecilia Byrd of Churchland, on June 9, 1951, in Portsmouth, she was given away by her elder brother, Charles Thomas Leach. Also, upon the passing of George W. Leach, one of Simon’s brothers, in 1953, the Norfolk Journal and Guide carried the story, and mentioned the deceased as family to the “late” Simon Leach. In many families, traditions may pass from one generation to the next. This seemed to be no less true with the family of Simon Leach. Simon’s daughter, Edna Mae, often visited her extended family members in Pittsboro, N.C., before and during her matriculation at Shaw University. And when George W. Leach passed, Simon’s sons Charles Thomas (with his wife Amanda Elizabeth Doughtie Leach), Leonidus Nathaniel, Albert Fisher (Leach), and Hazel Fisher Sheppard (one of the brothers’ maternal aunts), all attended George’s funeral in Pittsboro. Another aspect of the strong family ties evident in the Leach Family (to this researcher), is the prevalence of the name “Albert.” You’ll remember that Simon’s grandfather, his mother Lizzie’s father, was named Albert. One of Simon’s brothers, as well as a maternal uncle, were also named Albert. Simon himself named one of his sons Albert, and Levi, one of Simon’s brothers, named one son Albert. Former Seaboard Airline Railroad Building – Portsmouth Va.
One may also divine that a strong work ethic ran in the family. Simon was a thirty-year employee of the Seaboard Airline Railroad, whose old headquarters is a fixture on Portsmouth’s waterfront. According to his obituary, Simon’s eldest son Charles Thomas, who passed in 1978, was a twenty-year employee at the Norfolk Naval Shipyard, a member of Emanuel A.M.E. church, the Mosi Club, and the Alpha and Omega Masonic Lodge No. 46. Charles Thomas Leach was also a member of the Troubadours Social Club, along with my grandfather Horace L. Orton. Organized in 1940, The Troubadours regularly hosted annual formal dances at the old Carver Homes auditorium. It is interesting that this very site will again be a social gathering place for city residents when it is developed into a new recreation center later this year. Although I can’t say with 100% certainty this particular gravestone fragment in Mt. Olive Cemetery is Simon Leach (genealogy often offers few absolutes), I have used various tools at my disposal in an attempt to do so. This attempt was born of a desire to show respect for who Simon was, and to bring a bit of honor back to his last resting place. But one problem remains. Simon’s stone is still an “orphan.” Perhaps there’s little mystery left as to the identity of the stone. But the exact location of Simon’s burial site in Mt. Olive Cemetery is currently unknown. And what to do with the headstone fragment? It’s temporary location still leaves it vulnerable to misplacement, and further deterioration from the elements and improper maintenance. 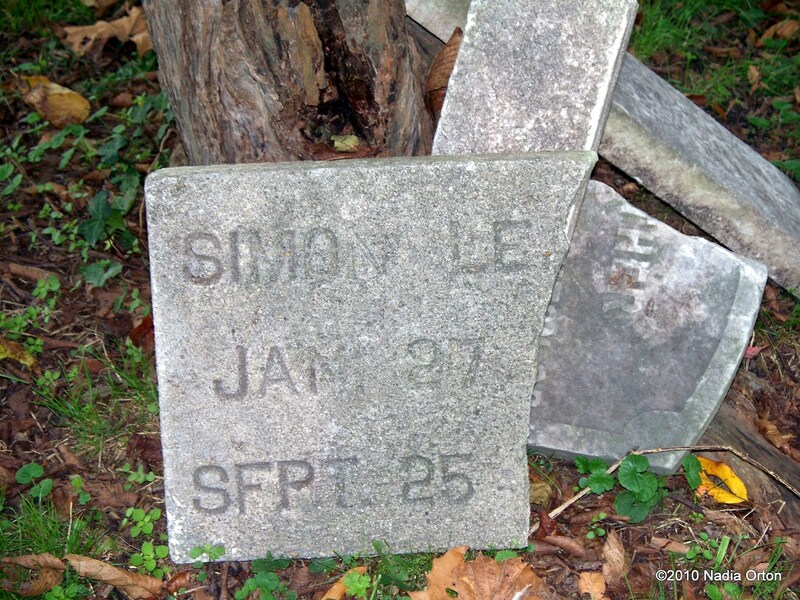 Lynette Strangstad, author of A Graveyard Preservation Primer, suggests various procedures in how to deal with gravestone fragments. Another practical solution is to document all fragments and then to bury identifiable ones behind (or in front of, depending on orientation) the standing major fragment (“parent” stone) to which each belongs. (Strangstad, 71-73). The City of Portsmouth is currently taking steps to restore Mt. Olive Cemetery, actions which should include and address the need to protect the various gravestone fragments that currently dot the cemetery. These stone pieces are symbolic remnants of people who were once a part of Portsmouth. If the exact burial sites of Simon Leach and all others interred without headstones are ultimately not rediscovered in the cemetery, at the very least, we have knowledge of where they were laid to rest. Friends and family sent them “home,” and over time, they were lost to history. However, hope remains, as the community-based effort to restore the cemetery proceeds, and hardworking volunteers continue to re-discover gravestones everyday. Perhaps, in time, a memorial to all of the unknowns and those without known burial sites may be erected. “Gone, but not forgotten” is a phrase often seen on many a gravestone. May these individuals be returned to light, and rejoin the annals of Portsmouth history. They may be gone, but are never forgotten. Simon, may you soon rest in peace. 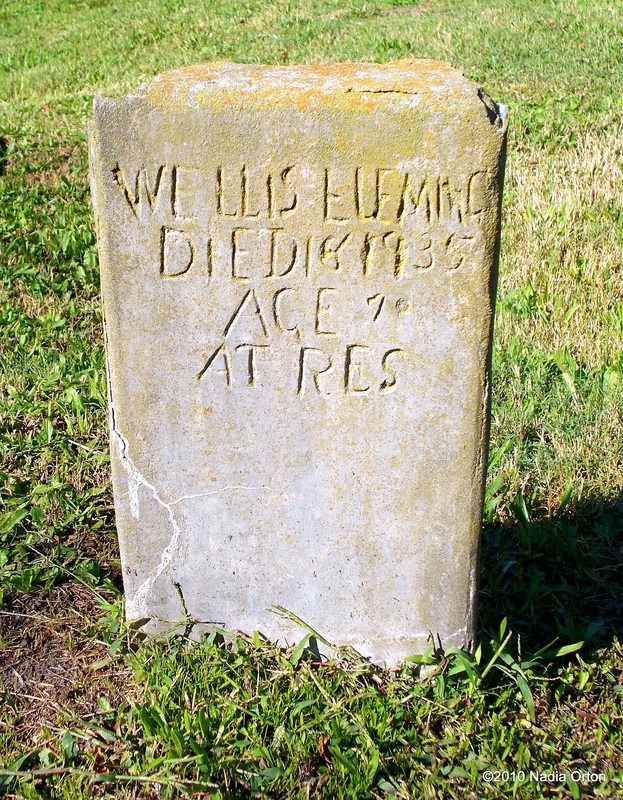 “Willis Fleming, Died 18 1935; Age 70 At Res” reads the worn inscription on a small cement marker in Mt. Calvary Cemetery, Portsmouth, Va. The historic cemetery contains gravestones of various materials, and some, such as the headstone for Mr. Fleming, are handmade. Mr. Fleming was born on April 25, 1865, in Manson, Nutbush Township, Warren County, N.C., about five weeks before the end of America’s Civil War. The son of Phillip Fleming and Charity Mayfield, he was the sixth of nine children. Phillip and Charity were married on July 28, 1866, about four months after the North Carolina General Assembly legalized the marriages of former slaves. Willis lost his mother Charity sometime in the early 1870s. His father, Phillip Fleming then married Frances Vanlandingham (1842-1920), daughter of Dawson Vanlandingham and Hulda, on January 25, 1872, in Warren County, NC. Working primarily as farm laborers, the family remained in Nutbush from the 1870s through the 1880s. Willis married Almeda Vanlandingham, daughter of George and Delia Vanlandingham, on December 29, 1886, in neighboring Henderson, Vance County, N.C. Phillip, his second wife Frances, and newlyweds Willis and Almeda moved to the Tidewater area by 1890. The family patriarch, Phillip Fleming, died on September 2, 1896, in the Western Branch District of the former Norfolk County, near Churchland. By 1900, Willis and Almeda are documented living in the Western Branch/West Norfolk area of Portsmouth, Va. Almeda V. Fleming died in the early 1900s (burial site unknown). Willis married Mary (surname unknown) soon thereafter, and by 1910, are documented living in Western Branch District, where they would make their home for the next twenty-five years. Mary worked primarily as a laundress for private families, and Willis worked for the Virginia Smelting Company (later Virginia Chemicals, Inc.), located in the West Norfolk area of Portsmouth. Willis Fleming died on September 18, 1935. His burial took place on September 22, 1935, and the Fisher Funeral Home, under the direction of John T. Fisher, handled the arrangements. Willis’ funeral was held at First Baptist Church, West Norfolk, which was established in 1889. First Baptist Church, West Norfolk, 2007. Google Maps. Obituary for Willis Fleming. September 28, 1935. Norfolk Journal and Guide. Willis Fleming’s obituary ran in the September 28, 1935 edition of the Norfolk Journal and Guide, one of nation’s leading African American newspapers during this period, under the stewardship of long-time publisher and editor Plummer Bernard Young, Sr. P. B. Young, Sr., is buried in Norfolk’s Calvary Cemetery. Funeral services for Willis Fleming, of West Norfolk, who died suddenly at his residence early last Wednesday morning were held at the First Baptist Church, West Norfolk, Sunday afternoon with Rev. J. M. Douglas officiating, assisted by the Revs. W. H. Deberry, J. H. Hopkins and C. W. Logan. The deceased had been an employee of the Virginia Smelting Co., of West Norfolk, for over 35 years where he held the friendship of fellow employees of both races. Charles W. Johnson, an official of the company spoke with high regard for the life of the veteran worker. There were also other white friends of the deceased attending the rites. There were several floral designs from his fellow workmen. The funeral program included a duet by Mesdames Lula Wallace and Matilda Lewis; solos were sung by Mesdames Mary Bin, Gertie Elliott, Georgia Barnes, Eliza Randall and Josephine Wright; also Luke Sykes. Active pallbearers were Lee Paschall, Theodore Adams, John Lassiter, Augustus Cherry, Fletcher Robertson, and Edward Hardy. Honorary pallbearers were Alex Wheeler, J. S. Thompson, L. D. Dickens, Peter Perry, Wesley Hill, J. H. Hollomon. Mr. Fleming is survived by his widow, Mrs. Mary Fleming, and a son, Walter Fleming. Interment was in Mt. Calvary Cemetery. Funeral arrangements were under the direction of the Fisher Funeral Home. Although rough in appearance, we cannot judge the family by the type of gravestone placed in honor of Willis Fleming. The Great Depression affected countless households around the country, and his family may not have been able to afford a more expensive headstone. His marker was fashioned from a wooden mold, with the inscription carved by what appears to be a stick. Unlike other handmade monuments to the deceased made of cement or wood, Willis Fleming’s headstone has stood the test of time and the elements. A fortunate thing, allowing us to know a once hard-working, well-esteemed North Carolina native, and resident of Portsmouth, Virginia. Saturday morning, seven-thirty a.m., and I was prepared. The flags I’d ordered had been delivered. With boots, DEET, and shovels at the ready, I was headed out to the cemeteries with my father to honor our ancestors. It was Memorial Day Weekend, and we were continuing a long-standing family tradition. This year, our destinations were the Mt. Calvary Cemetery Complex (ca. 1879), Lincoln Memorial Cemetery (1912), and Grove Baptist Church Cemetery (1849). Focused research for the last seven years has allowed me to trace my paternal roots in Tidewater, Virginia to 1690, and I’ve discovered that our family has relatives buried in cemeteries throughout Hampton Roads. Some cemeteries, while in poor condition, have been relatively easy to find, while others are inaccessible (Government restrictions), have been removed, destroyed, or otherwise desecrated. I hadn’t planned to write a blog about this day. My goal was to continue working on the applications to nominate the Mt. Calvary Cemetery Complex to the National Register of Historic Places and the Network to Freedom, my contribution to the growing community-based effort to preserve the historic site where over thirty members of our family tree lie. But as I reviewed the photos I’d taken, and reflected on the experience itself, I began to feel that what we’d done had everything to do with preservation, and memory.